Mind the gap/city -> Whatch out of the city ! City Mined -> Undermine the city ! Undermined city. Live the chaos of a city. Be the chaos of a conflict city! 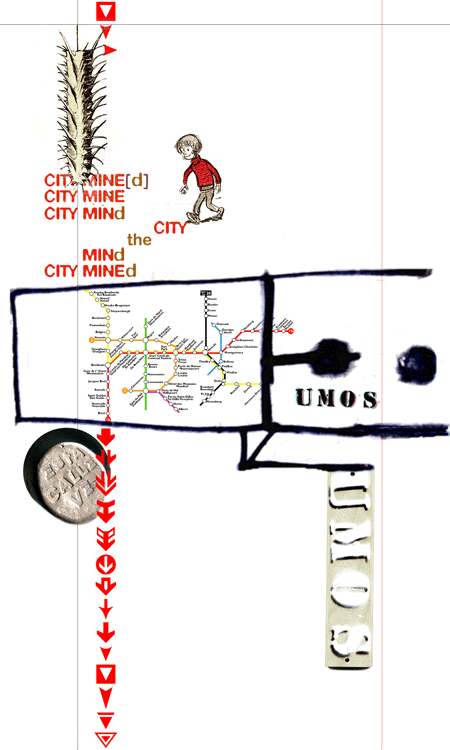 City-Mine(d) is a young organisation, established in 1997, whose objective is to support, initiate and/or undertake projects of a socio-cultural nature, mainly in public open spaces in areas and neighbourhoods which are characterised by problems typical of a large city, such as poverty, exclusion, weak identity etc. The organisational structure is flexible, network oriented, rhizomatic and its activities temporary.